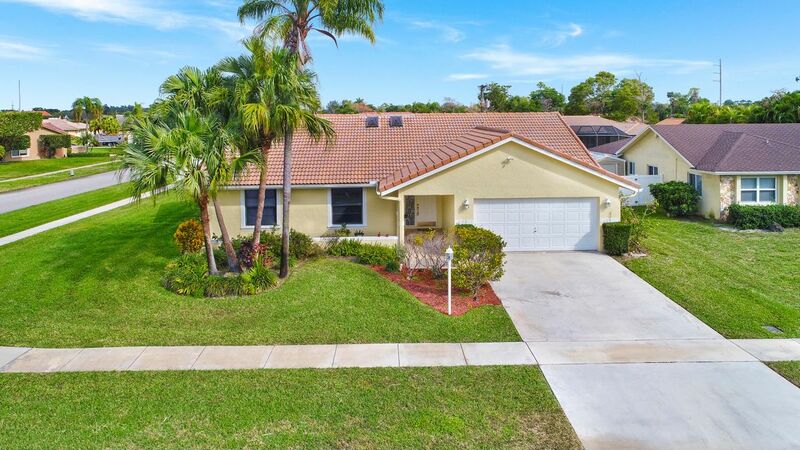 This 3 bedroom 2 bathroom home plus BONUS room with 2 car garage sits on a very private 1/4 acre cul-de-sac corner lot, in the non-HOA section (Cricklewood) of beautiful Arborwood in Boca Raton. Brand new A/C (2017), brand new washer and dishwasher, and updates throughout. This home has been cleaned on a weekly basis for years and is in absolutely immaculate move-in condition. Arborwood is within very close proximity to all the best that Boca has to offer: public parks, major highways, places of worship, Town Center Mall, Mizner Park, the beach, and plenty of plazas with places to dine and shop. The tile roof, hurricane protection, irrigation system on a well, new A/C and no monthly HOA dues all contribute to tremendous savings!